While working at heights, employees can face an endless list of dangers. Whether these hazards stem from inadequate edge protection, poor equipment storage or a lack of training, employers and their teams must be aware of every possible eventuality. Most Australian centres have experienced at least one heat wave with the mercury soaring well above the 40-degree mark. At this time of year, there is one issue that should demand more attention than most – summer temperatures. Already, many areas throughout the country have experienced at least one heat wave, with the mercury soaring well above the 40-degree mark. We are barely a third into the summer months and temperatures are extreme, prompting SafeWork NSW to issue a safety alert around the dangers of heat stress and illness. With many professionals working at heights directly exposed to the sun, they are one of the parties at most risk from heat stroke. According to SafeWork NSW, more than 200 workers’ compensation claims related to workplace fatigue and heat-related illnesses were made between July 2011 and July 2014. This number spikes in the summer, which is why it is important to highlight both the short- and long-term consequences of working in the sun. Executive Director of SafeWork NSW, Peter Dunphy explained one of the most common causes of injury during the summer months is caused by fatigue and heat stress. “They can reduce a worker’s performance and productivity, plus increase the chance of injury by reducing the ability to concentrate, recognise risks and communicate effectively,” he said. 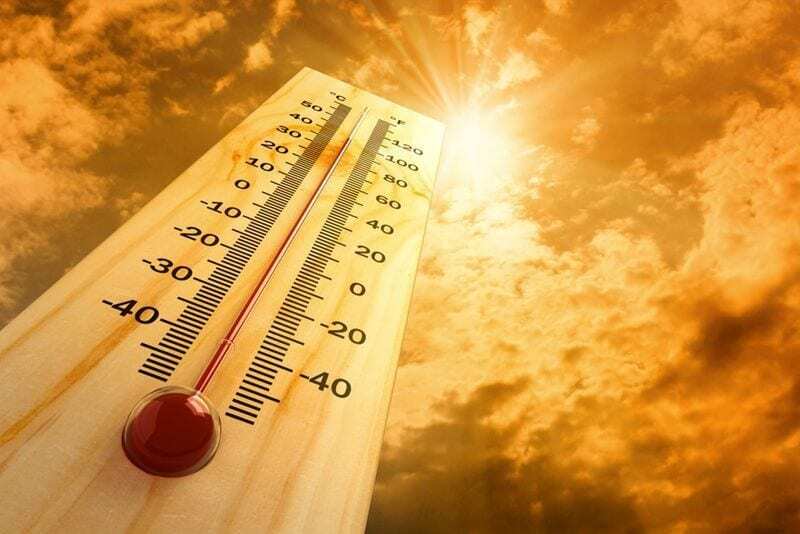 High temperatures bring workplace health and safety concerns. Based on the Bureau of Meteorology’s Ultraviolet (UV) Index Forecast, all NSW locations present a risk from UV rays. In fact, between the hours of 9 a.m. and 6 p.m., businesses are expected to provide adequate sun protection practices for their exposed teams. How can sun protection be achieved? Mr Dunphy cited a number of ways to ensure safety when working at heights in the sun. One of the key elements of this approach was around work scheduling. “Management should set realistic workloads and work schedules, ensure fair distribution of work, provide shaded rest areas and regular breaks. If possible, try to re-schedule work to cooler times of the day such as early mornings or late afternoons,” he said. SafeWork NSW also outlined that businesses should provide access to drinking water and encourage workers to wear hats, sunscreen and adequate clothing. If your business is looking to further improve safety standards this summer, get in contact with the expert team at Anchor Safe Systems today.